An environmental group has petitioned the federal government to ban two coral-killing chemicals from sunscreen and personal care products, just weeks after Hawaii passed a law banning their sale due to alleged toxic effects on marine life. On Wednesday the Center for Biological Diversity petitioned the Food and Drug Administration to ban products containing oxybenzone and octinoxate, noting that even a miniscule amount of oxybenzone is toxic to corals. "The science is clearer every day that coral-killing chemicals are in our sunscreens," says CBD biologist and lead attorney Emily Jeffers. "This is a nationwide problem and applies everywhere, even to people who don't live next to the ocean. Whatever sunscreen people apply rubs off into water sources, which eventually flow back into the ocean." Climate change is already wreaking havoc on coral reefs, says Jeffers, and the added stress of chemical contamination is only deepening the crisis. 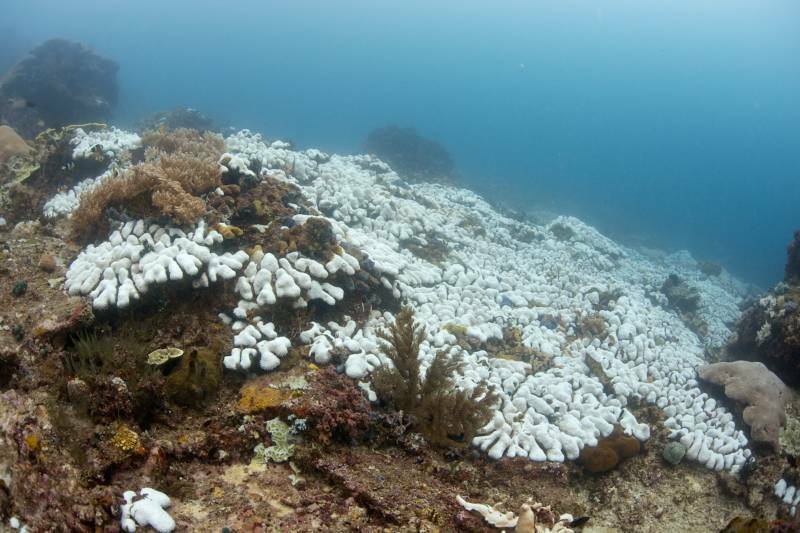 A widely cited 2015 study found that oxybenzone and octinoxate, which function as UV blockers, disrupt marine life and contribute to coral bleaching, which occurs when heat stress drives out nutrient-rich algae, which is the coral's food source. Once extremely rare, incidents of oral bleaching have increased fourfold over the last three decades. Not everyone agrees that the two chemicals are to blame for the destruction of coral reefs. Trade groups for cosmetics and over-the-counter drug companies have pointed to other culprits such as global warming and overfishing. Following the ban in Hawaii, the Consumer Healthcare Products Association accused the state's legislature of compromising the safety and welfare of residents by effectively banning at least 70 percent of sunscreen products currently on the market. But Jeffers says that plenty of alternatives exist for effective sunscreen protection. "We want people to use sunscreen to protect against skin cancer and there are so many non-toxic alternatives out there," she says. "So why would we voluntarily put chemicals into our oceans? There's a way to protect your skin and corals at the same time and that's what we should be doing." The CBD petition comes one day after the nonprofit Environmental Working Group published its annual sunscreen guide, which found oxybenzone in two-thirds of the 650 sunscreens it reviewed. The group cites oxybenzone as an environmental and health hazard that acts as a hormone disruptor and is measured in the body of nearly every American. For safe and effective sunscreens, the EWG guide recommends products containing zinc oxide and titanium dioxide.